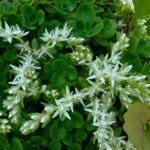 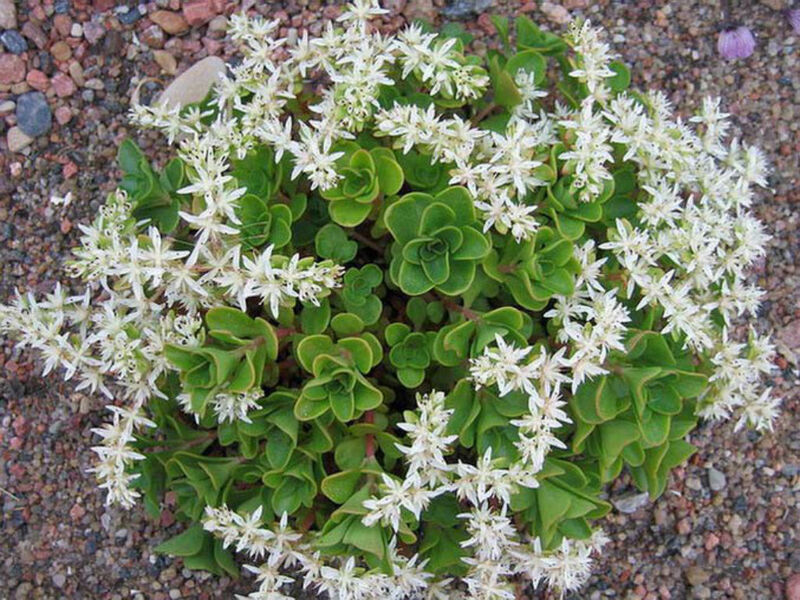 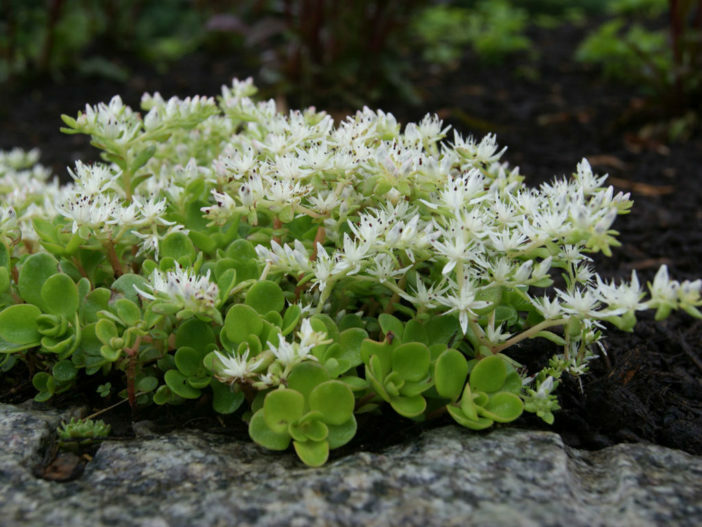 Sedum ternatum is a small, spreading succulent plant. 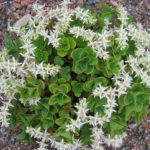 Grows up to 6 inches (15 cm) high and spreads by creeping stems which root at the nodes. 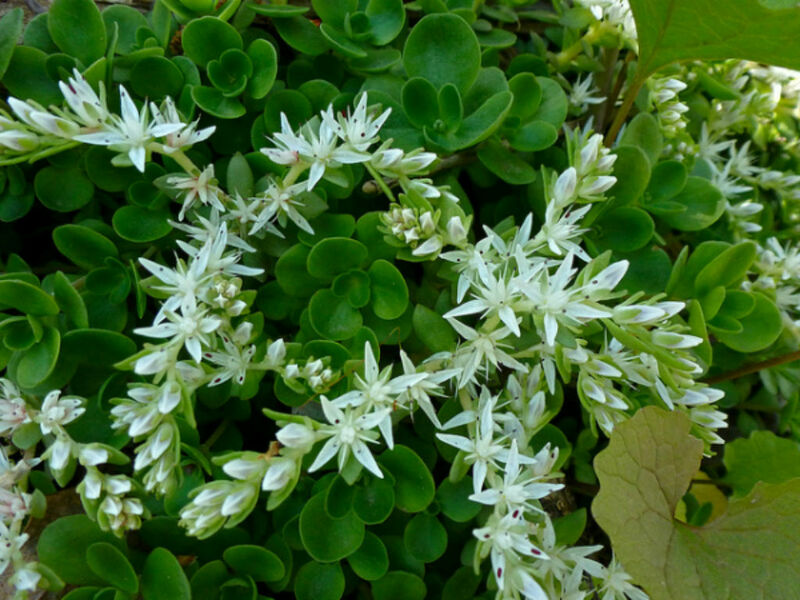 Stems break away and die in winter, leaving newly rooted plants separated from the mother plant. 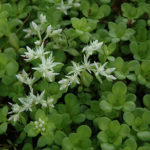 Features small, rounded, fleshy, succulent-like leaves, up up 0.8 inch (1 cm) long, which appear in whorls of three, thus giving rise to the common names. 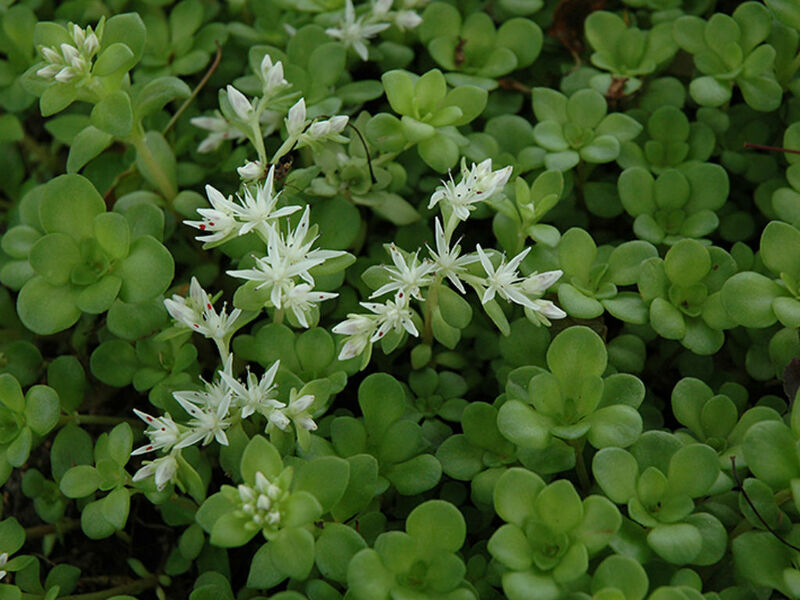 Clusters of tiny white, star-like flowers, up to 0.5 inch (1.3 cm) wide, with purplish stamens appear on erect stems above the foliage in spring.